Genetically engineered potato chips are more flavorful, and also tend to talk more than your average chip. 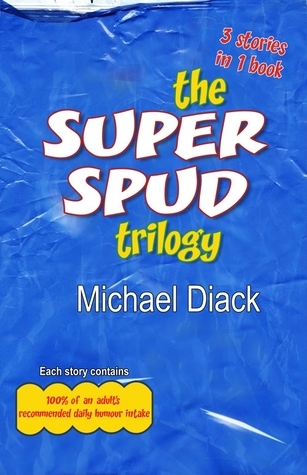 And so begins the adventures of the Super Spud potato chips! I can handle absurd crude humor; sometimes I even love it that was not the problem with this book. My problem is that there was no point. It seemed to be one short story after another, which is not bad but the author bounces around from one story to the next so frequently you cannot connect to the story or the characters themselves. Since this book is supposed to be at least three separate novels you want there to be a concise beginning middle and end for each book. The stories seemed more suited for children, take out the violence add some pictures and you will have an amazing children’s series. What I did like about the book where some of the characters that were based off pop culture or historic icons, can you imagine Robin Hood or Indiana Jones as potato chips? Meg had the perfect life she was on her way to fulfilling her dream of being the Investment Director at Solomon Bank by the time she was thirty, she also had the most wonderful fiancé, until one fatal day when her entire life changed. Ellie Keaton has just made my “Evil Evil Authors” list. Despite going into the novel with my “tough face” on and determined to read this short story without crying, I did not succeed. I made it through most of it till I hit the end and she did me in. This was a beautiful story of the love and loss that surrounds 9/11. Ellie Keaton managed to create a stunning story in a few short pages that will surely move you, if not you may want to visit a doctor. In the end this is one of those stories that are worth the short yet entertaining read. Not only is the story amazing but the author also donates 15% of the proceeds from this short story to Tuesdayschildren.org which helps children who were affected by 9/11. A small group of people are stranded on a deserted island with plenty of available resources leaving too much free time on their hands. As their captain seems to go crazy the crew begins to find conflicts amongst their selves. 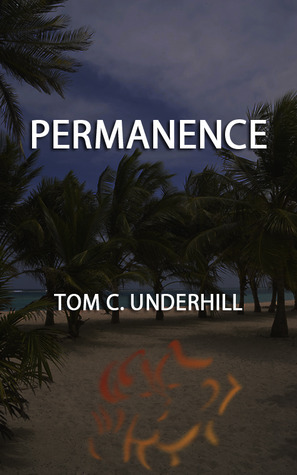 Another short story masterfully brought to life by Tom Underhill. Instead of this one having a supernatural or sinister angle it is simply the human mind and what we are capable of which is sometimes more intriguing. I wish the author would take this story and expound on it into a full novel I would love to be able to have more details for this one. Every twenty-five years a group of young women are chosen to harvest the Tree of Providence, this time as a young woman, Jenna, is harvesting she holds resentment in her heart for having been selected in doing so she has condemned the harvest which in turn can cause famine and death to the rest of the villagers. There is only one way to heal the fruit, she must appeal to the Wraith who stalks the forest around the village if she can persuade him to let her have his magical blade she will be able to undo what has been done. 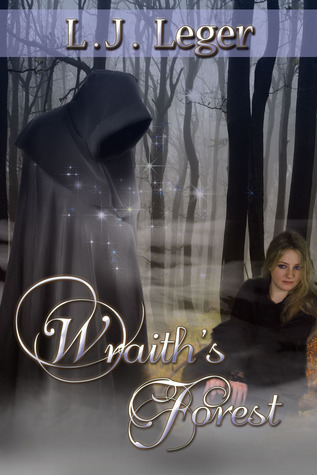 The Wraith agrees on one condition, she must spend a week with him. L.J. Leger does a wonderful job in her retelling of Beauty and the Beast, I only wish it was a full novel I want more of this story! Even though it is roughly fifty pages the author manages to pull us into the story and brings the story to life with the descriptions of the house in which the wraith lives and even the description of Jenna but I wish she had gone into more details of what the wraith looked like under his cloak and why the villagers had gone insane from their encounters with him. All in all it is an interesting short story. Jim can’t believe what has happened to him in the moment of spending time with a prostitute he is transported back into the past and one slip has altered his entire future. Jim returns to the present through his climax until he does something he must desperately try to take back with another visit, hopefully undoing the damage that was done. I do enjoy Tom Underhill’s writing and his thought provoking endings but this short story is not for me. I know a lot of people use adultery to stimulate their audiences and raise their anger and this story certainly manages to do that with me. However, this story certainly manages to take the phrase “be careful what you wish for” to a whole new level.